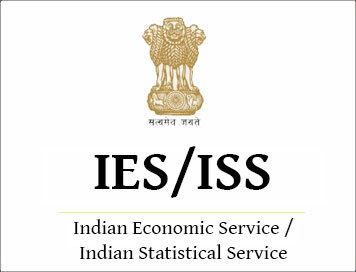 IES / ISS (The Indian Economic Service, Indian Statistical Services) are conducted once a year. It is conducted by the UPSC every year. Candidates who clear this exam are recruited in Indian economic services and Indian statistical services of the government of India. It’s a highly reputed job for the candidate as it varies from candidate to candidates to be eligible for the exam certainly in the bases of the category you belong to. It’s one of the best opportunities for the people interested in pursuing civil services. The application form will be available from 20 March 2019. This type of job requires knowledge of their field completely. The recruitment for the various departments like Finance Ministry, banking and financial institutions and the governing bodies of the Indian economic services and Indian statistic services. The exam centre made in many states of India so that candidates get the nearest centre from their place. Just go through all the dates. The fees will vary depending on the category of the candidates. These all are categories which all must pay the fee of RS 200 through net banking, and it’s completely safe to pay online. It gives you the online receipt of your payment. This is the first step for the goal of the exam. It informs candidate whether they are eligible to sit in the exam or not eligible for Indian economic services and Indian statistical services. There are only a few countries which are eligible to give this exam. People, Indian and other country people of Bhutan, Pakistan, East African Countries are eligible other than this are not allowed to give the IES/ISS. Candidates should have a graduation degree with Mathematics statistics, master’s degree in mathematical statistics, applied statistics for the recognized university and if they are having all the necessary document, then the only candidate is eligible for being stated in the exam. It only comes once in. The year so you need to be little careful while reading all the information mentioned over here. Candidates should have a postgraduate degree in economics/business economics /Applied economics. They should be the graduate as well as postgraduate degree then only they qualify for the filing of the application form. Age limit: Candidates age should be above 21 to 30 years, eligible to fill IES ISS application form. These all things should be kept in mind while applying for the examination. The exam is conducted offline mode, and the paper is in English. It’s important for the applicants to have full knowledge about the number of papers are going to hold so that candidates can be recruited in Indian economic services and Indian statistical services. These both are highly respectful jobs, and it’s of government ultimately you would have certain job securities. So, have a proper outlook of the papers which are going to be in held in both. General Studies 100 3 Hrs. General Economics-I 200 3 Hrs. General Economics-II 200 3 Hrs. General Economics-III 200 3 Hrs. Indian Economics 200 3 Hrs. This is the patter for the paper which must attempt by the candidates to have recruited them in civil services. Indian economic services and Indian statistical selection, candidates first must qualify the written entrance test of three hours. Secondly, candidates will be shortlisted for viva- voice/interview based on the marks obtained in the written test. Final selection is made on tbs basis of candidates the total score gets in written exam and interviews round. How to Apply for IES/ ISS Exam 2019? Candidates must follow the details given below for the successful procedure of filling the application form online. To work with such an elegant sector, so it’s important to have full knowledge regarding the application form and other important documentation. Go through the notification carefully so that no left to be unread by the applicants. Click the link for filling of the online application form and fill it correctly because this is no chances of a correction in the application form once it’s successful. Applicant must upload the photograph and signature duly scanned in a prescribed manner. The photograph should have your proper picture in which your face is visible. For a successful application, applicants must pay the application fees through net banking and other banking sites for the completion of this process. You can take a printout of the application form for the future reference; it requires while you are going to give the entrance exam. So, it’s important to have the printout of it. The applications which are incomplete or the application received after the due date are not going to be entertained by UPSC. They are very strict for the acceptance and rejection of the application forms.